Clark Kerr's The Uses of the University, first published in 1963, is still, I think, the best book on American higher education written in the twentieth century. It is a marvel of terseness and clarity that lays bare the complexities and subtleties of a complicated topic. It details with precision and wit the anatomy of the research university as it had come to exist in 1963, and it describes as well the illnesses to which this organism could be prone together with diagnoses and prognoses that might prove useful. And, of course, it indelibly impressed the word multiversity as the descriptor of the postwar research university. That a work so lucid should have provoked so much misunderstanding and misreading is quite remarkable, even allowing for the temper of the time of gathering dissidence in which it appeared. 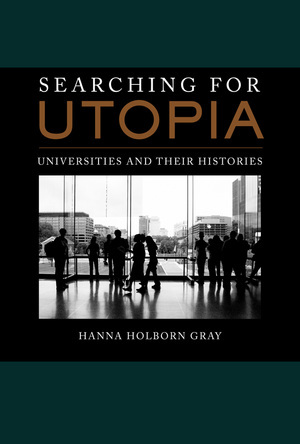 Critics of the research university (and most immediately, critics at the University of California) interpreted the book as a single-minded defense of the multiversity and of the established social and political order with which it was complicit and heard its analytic tone as the impersonal and bureaucratic voice of a corporate institution that had turned away from the humane values that ought to define a genuine community of learning. Clark Kerr was a man both rational and reasonable to the nth degree, and he found it difficult to cope with reactions to his work that seemed to be neither. For all his patience and good sense and Quakerly tolerance, he resented such misinterpretation and refused to let it go. He thought it obvious that he was actually offering a quite critical analysis of some very troubling attributes and tendencies of the contemporary university and making the point that the contemporary research university represented an institution of extraordinary promise and accomplishment that was here to stay and whose history could not be undone but that its growth had also exacted significant costs and might, left to the logic of its own dynamic development, exact yet further and possibly fatal ones. Kerr responded to his critics by trying, over and over again and ultimately in his memoirs, to state and to restate what he had really meant. And he regularly wrote to bring his analysis up to date, as he did in the successive chapters written for later editions of The Uses of the University, and elsewhere as well, at different moments conveying varying degrees of cautious optimism or moderate pessimism in taking the temperature of the patient he had followed throughout his career. Beneath the wise, sensible, calm, unpretentious, and visibly stoical person of Clark Kerr, there appeared in his dogged quest for a kind of vindication a man more driven, one who, after the experience and circumstances of his tenure as chancellor and president, felt that he had still more to teach, that he had gained and refined an essential knowledge through which he could leave a larger impact on the academic world than had perhaps been acknowledged. But being Clark Kerr, a principled man of strong ideals, and an intelligent realist above all, he was also wryly aware of claiming that belief and never lost his capacity for disinterested commentary and generous judgment. Would I have chosen to give these lectures when I did knowing what I know now? The answer is absolutely "no." I don't know that these words reflect Kerr's final thoughts on the subject, but they are interesting nonetheless in the familiar questions they raise about the nature of a university president's responsibility in matters of public utterance, and interesting also in their assessment of Robert Maynard Hutchins. In some ways, I would expect Hutchins to be the last person to whom Kerr might compare himself. Hutchins set out deliberately to play the role of enfant terrible and revolutionary; indeed, he was to say that a president's function is precisely to be a troublemaker.2 He believed that only one model of higher education could be of value, and he saw its mission as leading ultimately to the spiritual transformation of a corrupt and materialistic world that had lost all sense of purpose and descended into a dark well of skeptical relativism, scientism, empty empiricism, false vocationalism, and anti-intellectualism. His comment that the University of Chicago was not a very good university but only the best there was spoke to his pained sense of the chasm separating the world of academe from the ideal he believed it should embody. Hutchins was impatient with compromise and incremental change, and he was deeply frustrated by what he saw as the inertia and resistance to change prevalent in universities. Those qualities he attributed to the debilitating weaknesses of academic governance and to the triumph of professionalism and specialization in the academy. To call Hutchins "outspoken" is something of an understatement. Let us consider for a few moments his critique of contemporary higher education, his conception of the university and its appropriate structure, and the program of education he advocated. Hutchins maintained that the modern university lacked all unity of intellectual purpose and failed to offer an education in the fundamental ideas and questions that should shape human thought and investigation. He deplored the excessive specialization that he saw as overwhelming the world of learning and as reinforced by the departmental system; the obstructions this system placed in the way of a common, broader, and deeper intellectual association among the university's members; and what he regarded as a practice and culture of undergraduate education diametrically opposed to the liberal learning, founded in a curriculum of general education, that he sought to establish at Chicago and that he believed could stand as a universal model for higher education. In striking out against what he described as the intellectual disorder and triviality that had overtaken the university, Hutchins was also railing against something more-namely, against the evils that he believed had overtaken the modern world and that threatened civilization itself. His first big public salvos against modern higher education were delivered in a series of lectures published as The Higher Learning in America (a title and in some respects an argument that echoed Thorstein Veblen's strident critique of some twenty years before). We live, he said, in a philistine world in which even universities are fundamentally anti-intellectual and in which universities hence suffer internal disunity and intellectual anarchy rather than display the singleness of purpose and clarity on the subject of the central questions of truth that should mark the true university. You will have noticed that Hutchins refers in his commentary to better times. One is the world of the medieval university, another the golden age of ancient Greece; a third, somewhat oddly, is the time of the founding of the American universities, including that of the University of Chicago whose founder actually wanted to establish a research institution above all and even wondered seriously whether it should have an undergraduate college that included the first two years. (And who, it should be added, initiated the formidable era of Amos Alonzo Stagg football at the university.) Finally, you will have observed that Hutchins's strictures on what he saw as the hopeless state of the university rest on his fundamental disagreement with what he regarded as the triumph of "scientism," "empiricism," and "presentism" in disciplinary research and scholarship, relativism in the realm of thought, and utilitarian considerations of the most philistine sort in the field of education, both undergraduate and professional. For Hutchins the elective system championed by Charles William Eliot was the emblem of higher education's fall from the grace of a required liberal curriculum incorporating a hierarchy of truth. As president of the University of Chicago, Hutchins became increasingly frustrated by the conflicts generated by his energetic attempts to have his views and plans adopted and by the snail's pace of movement he thought had been accomplished. He had come to believe that for a university to work, its system of governance, its organization, and some of its traditional policies and practices needed to be overhauled if any progress were ever to be made in the face of the inertia and opposition that seemed to prevail everywhere under the status quo. He would have liked to abolish departments, and he would have liked to place academic areas dealing with policy and applied studies into separate research institutes affiliated with the university (their members would not have the status of regular faculty members; in this way those not dealing with what he considered truly fundamental studies would be outside the unity of the university proper). These were general preferences that he floated from time to time. And he did effect two significant organizational changes in the creation of the four graduate divisions, physical sciences, biological sciences, social sciences, and humanities, that were intended to promote interdisciplinary vistas, as well as the creation of the college as a division in itself with responsibility for a bachelor's degree awarded after the successful conclusion of Chicago's program of general education. He had famously provoked outrage in some quarters and joy in others by eliminating Big Ten football at the University of Chicago. That move underscored his notion of what a college should not be about, although he joked that had he not abolished football, the Humane Society would have had to be called in for that purpose. Hutchins's major proposal, one that he made a condition for achieving all the rest, was to redefine the authority of the presidential office. Arguing that divided authority meant that no one could ever be truly accountable and nothing significant could ever get done, pointing to the weakness he thought inherent in any separation of powers in the universe of politics as in that of the university, Hutchins asked that he be given full authority over all academic matters. The president would be expected to consult the faculty on his initiatives, but their advice would be strictly advisory. The president would be elected for a limited term of office, and constitutional provisions would be made for the recall of a president should he lose the confidence of the faculty. The statutes of the university, in his suggested draft, would state that the president had "full responsibility for and full authority over the educational and scholarly work of the University, its course of study, publications, appointments to its faculty, and all other matters relating to its activities in education and research. "13And yet, Hutchins maintained, his organization of the university would actually lead to a more democratic community by reducing the preponderant power of the senior faculty and extending the same rights to those previously excluded from the faculty senate. It should be noted that Hutchins had no qualms about publicly stating his views also on matters quite outside the subject of education and firing off rhetorical bombshells on these subjects as well. Shortly after his arrival in Chicago, he addressed a Democratic convention with a passionate argument for repudiating and overturning the failed policies of the older generation that had produced society's ruined condition. At the end of the thirties, Hutchins became a convinced isolationist, hoping to persuade the world in general and college students in particular to oppose and resist America's entry into war.16 Hutchins was a man of charisma, especially for college students, and a man of great rhetorical skill and force. He used these gifts both within and outside the university to campaign for his beliefs without making any particular distinction between those that had to do with education and those that did not. In his way of thinking, any such distinction would in any case have been quite meaningless. Given this history, there is nothing unusual in Clark Kerr citing Hutchins as the outspoken president of the twentieth century. Since Hutchins's day, many people, including many who have never read Hutchins or really known what he was advocating, have asked: Why haven't there been more like him? Why are there no such inspiring figures today? Why are presidents the pusillanimous ciphers that Kerr describes rather than leaders speaking from a bully pulpit on the crucial issues confronting the larger society as well as on the great questions of education? Other, still earlier presidents are of course also singled out as exemplars who sadly have not been reincarnated-the founders and leaders of the research universities of the later nineteenth and early twentieth century. Kerr's choice of Hutchins was of a unique contemporary in an academic universe that resembled his own more than that of the founders. He saw Hutchins "as the last of the giants in the sense that he was the last of the university presidents who really tried to change his institution and higher education in any fundamental way,"17 and he admired that attempt. Clark Kerr was certainly right in saying that Hutchins's critique of higher education in his time was more acerbic than his own. I don't entirely understand his saying that Hutchins paid more dearly than did he for his outspokenness, but perhaps he meant that Hutchins was more embroiled in and scarred by the recurrent battles fought both with his own faculty and with others. But more striking is that Hutchins was so different by temperament and by outlook from Kerr that one is led to speculate as to what the latter saw as their bond beyond the simple fact of speaking out. I think the answer lies in Kerr's recognition of Hutchins's boldness in attempting something he, too, would have liked to try full force; namely, a transforming institutional change in the world of higher education. But Kerr saw also that Hutchins's way could not succeed and would not last. Clark Kerr surely shared Hutchins's concern with the priority of academic freedom. But while he admired the polemicist's willingness to take on an assertive critique of higher education and his boldness in laying out a program of fundamental reform and while he shared many of Hutchins's concerns, Kerr most certainly did not share Hutchins's basic outlook or approach. One might say that Hutchins began with a overriding vision of what should be and that he was ready to reject or undo history in order to make that ideal a reality, while Kerr began by accepting the reality of an institution shaped by a history that could not be denied or undone and then worked to set out a set of standards by which its strengths might be harnessed and its negative effects tempered. In a blurb written in 1989 for Harry Ashmore's biography of Hutchins, Kerr wrote: "Bob Hutchins was the one person in higher education with whom I disagreed most consistently and at the same time admired the most unreservedly. He always wanted the best and would never settle for the best possible." Altogether, then, The Uses of the University, especially in its final form, appears as much a critique as an analysis of the modern research university. Over time, the author's initial hopes of 1963 gave way to a far more skeptical view on the possibility of genuine reform and his judgment that there had been an age of gold to the belief that the worst excesses of that time had not been overcome, indeed had been exacerbated, and that a bleak, if not wholly hopeless, future could be next. Yet he could not entirely abandon his "unguarded Utopianism," even as he asserted that his ideal, a balance of the best of Swarthmore and of Berkeley, was probably unachievable. Kerr's model research university would counter the overweight of attention to research and graduate training by restoring some sense of unified purpose, within an intellectual community whose members could communicate across the disciplines, to an inevitably fragmented institution of higher learning in which prestige and success had come to be identified too exclusively with research, graduate training, outside funding, and extrauniversity activity and achievement. It would set renewed value on undergraduate education in the liberal arts and on teaching in a curriculum marked by an insistence on breadth and interdisciplinary relationships. At the same time, Utopia U., while achieving the right balance among its diverse parts and interests, would retain the pluralism of the multiversity. There could be, in Kerr's view, no one content of education that was simply right, and there could certainly be no consensus on a single form. For him, the issue was to rebalance and steadily to continue to adapt the university's configuration to the always moving and changing landscape of learning. The goal was not (as in Hutchins's view) to realize a final integration but to establish an equilibrium strong enough to hold and flexible enough to endure over the vagaries of time. Perhaps most important to observe in Kerr's look at the contemporary research university over so many decades is his conclusion, one that time helped to strengthen, that in the end the university could not truly be autonomous. He saw the university increasingly as the product of external historical forces rather than of deliberate planning and direction and ultimately as having succumbed, a captive in too many ways to some of the less desirable pressures they entailed. Kerr attributed this basic conservatism to a number of factors but above all to the faculty's characteristic resistance to change, and he maintained that change, when it came about, was more unplanned than planned and that major change25 had always been initiated primarily from the outside (and occasionally from the top. )26 The large changes discernible after the sixties, he believed, had proved it was not educational philosophy and its ideas of reform but the marketplace pure and simple that would always lead the way. Hence, he believed, the movement away from the liberal arts to vocational studies and the dominance of the labor market; hence, too, the university's enlarged subservience to external sources of funding, whether federal or industrial, that came with strings attached. At the same time, Kerr believed it was crucial to preserve and enhance the greatest possible independence for the university. All these reflections once again raised in acute form the problems of academic governance and of the role and capacity of academic leadership and what leadership could actually accomplish in the ever more decentralized university, with its complex web of often competing interests and its multiple centers of decision making. One might see Hutchins and Kerr as representing two sides of an impulse toward educational reform, one uncompromising in his utopianism, the other setting an ideal as a target to be aimed at. Both took on the question of presidential leadership, Hutchins in the name of an integrated unity that would replace an already emergent multiversity and serve a resurrected unity of knowledge, Kerr in an effort to see how leadership might provide a unifying spirit and an impulse to constructive change for an academic space in which a fragmentation of interests, a diversity of ways of knowing, and an inevitable decentralization of power and influence and action had necessarily to be accepted as given conditions. Not how to reverse these but how to create, or re-create, something of a community around them and to establish or restore balance among its different parts, and how to sustain the degree of independence essential to the mission of the university, was the task that Kerr envisaged as the task of academic leadership in the multiversity. The powers he assigned to presidential leadership were those of persuasion and thoughtful spokesmanship. In his view, presidents had to be realists, to understand the contexts of time and place, to choose their initiatives and battles deftly and selectively. This was not for the sake of mere survival and peace but for the cause of expanding and strengthening what he thought the best possibilities of the university and its contribution to the social order. He saw the modern university as in need of reform, and if sometimes tempted by dreams of perfection, his idea of educational reform lay in what could be accomplished in the present to secure, and to render sustainable, incremental changes (they might even be very large ones) that could build strategically on the promise of the multi-university without ignoring its inherent characteristics and without harm to the vibrant spirit that he saw as transforming knowledge and expanding its reach for the greater good in his age. And he wanted to use his office to speak for and to advance the principles and guidelines that should define the higher learning. His notion of Utopia, the merging of the best of Swarthmore and Berkeley, may not sound very utopian; indeed it seems a quite familiar formula. But for Kerr, this ideal had to contend with the realities of a developed multiversity that threatened to suppress or distort its own best features. The larger questions that preoccupied Kerr-and Hutchins as well-are of course those central to all serious debate over higher education and its institutions. These themes include the definition of the higher learning as such, the purposes for which it should be pursued, the nature of the learning most worth having or creating, the priorities of teaching and research, the responsibilities of institutions of higher education and their members, the conditions required for their effective pursuit, and the relation of such institutions to the larger society. These questions in turn raise those of the fields and studies to be included in the university's work, its defining curriculum, the relation between teaching and research and between graduate or professional and undergraduate education, the nature of authority within the academic community, the strengths and limitations of shared governance, the meaning and value of academic freedom and the imperatives of intellectual autonomy. While the immediate or emerging problems that press on higher education at different times will shape the specific configuration and emphasis given each thread in the complex of issues that have to do with our universities, the larger questions still remain at their center, restated and reargued in the context of new circumstances. To review the past decades' discussions, criticisms, and proposed programs of reform in the realm of higher education is to see that the questions addressed and the controversies engaged have not been fundamentally new. They have clustered around the same themes voiced earlier about universities but now posed in a new context. We can observe that in the circumstances of today and in the ways in which the problems identified by Kerr, and indeed by Hutchins too, are at once reiterated and given new form. The prevalent sense of deep crisis and uncertainty affecting higher education at present arises not only from the current state of the economy but also from a series of long-developing conditions that have shaped today's universe of higher education and that frame its principal choices. At the same time, the consciousness of massive shifts in the technologies and processes for attaining and transmitting knowledge and learning in a global framework would seem to be pointing the way to a new stage in the life, and in the idea, of universities even beyond the multiversity, and yet that future appears still clouded and obscure. To speak very broadly, there have been from the outset two somewhat contrasting ideas attached to the American research university: that of the collegiate university and that of the professionalized multiversity. Debates over the nature and purpose and state of the university have tended to go back and forth between these two poles. Similarly there have been two general styles of thinking about the reform of higher education: a single-minded, even utopian kind that begins with an educational philosophy grounded in a vision of an improved or transformed human order; another kind that begins from the structures, contexts, and cultural characteristics of existing institutions and looks toward incremental change adapted to serving more modest but essential goals of the higher learning. In Searching for Utopia, Hanna Holborn Gray reflects on the nature of the university from the perspective of today’s research institutions. In particular, she examines the ideas of former University of California president Clark Kerr as expressed in The Uses of the University, written during the tumultuous 1960s. She contrasts Kerr’s vision of the research-driven “multiveristy” with the traditional liberal educational philosophy espoused by Kerr’s contemporary, former University of Chicago president Robert Maynard Hutchins. Gray’s insightful analysis shows that both Kerr, widely considered a realist, and Hutchins, seen as an oppositional idealist, were utopians. She then surveys the liberal arts tradition and the current state of liberal learning in the undergraduate curriculum within research universities. As Gray reflects on major trends and debates since the 1960s, she illuminates the continuum of utopian thinking about higher education over time, revealing how it applies even in today’s climate of challenge. Hanna Holborn Gray was President of the University of Chicago from 1978 to 1993 and is presently the Emeritus Harry Pratt Judson Distinguished Professor of History there.